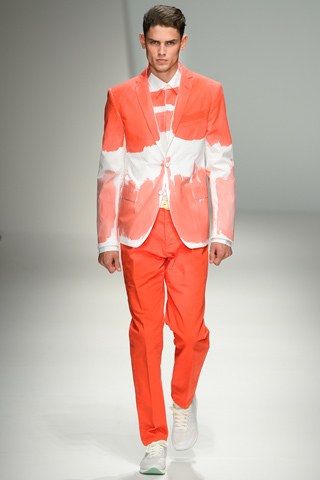 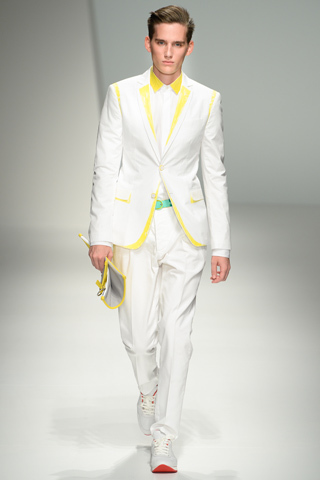 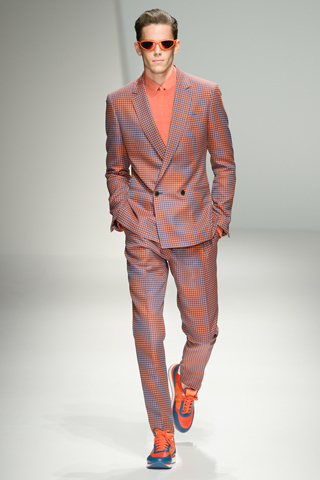 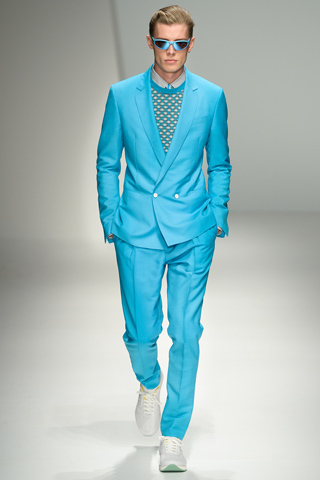 Salvatore Ferragamo brings BRIGHT to the runway for their Spring/Summer 2013 collection. 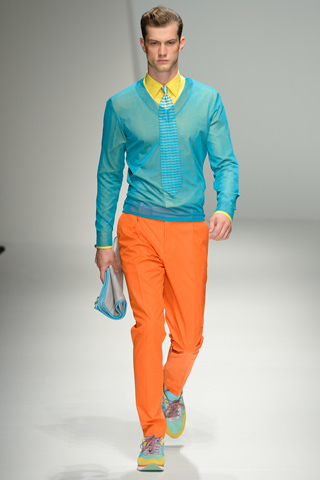 A palette of whites, blues, oranges and yellows. 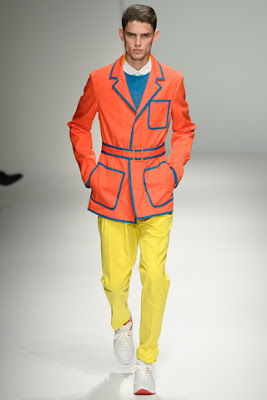 My favourite pieces are the Orange Coat with blue piping, Orange Dye Blazer and the Sheer Sweaters. Clean, fun and BRIGHT. Styling this collection would be hilariously fun.